The Programme for Government contains a specific commitment to work with local authorities to tackle the problem of illegal dumping and to develop effective deterrents to discourage people from engaging in this anti-social behaviour. In accordance with this commitment, the Department developed an Anti-Dumping Initiative to work in partnership with local authorities and community organisations in identifying high risk or problem areas, developing appropriate enforcement responses and carrying out clean-up operations. Since its introduction, €3.3 million has been allocated to this initiative which has supported over 400 clean-up and restorative projects while also equipping local authorities with the latest technologies to catch those responsible. 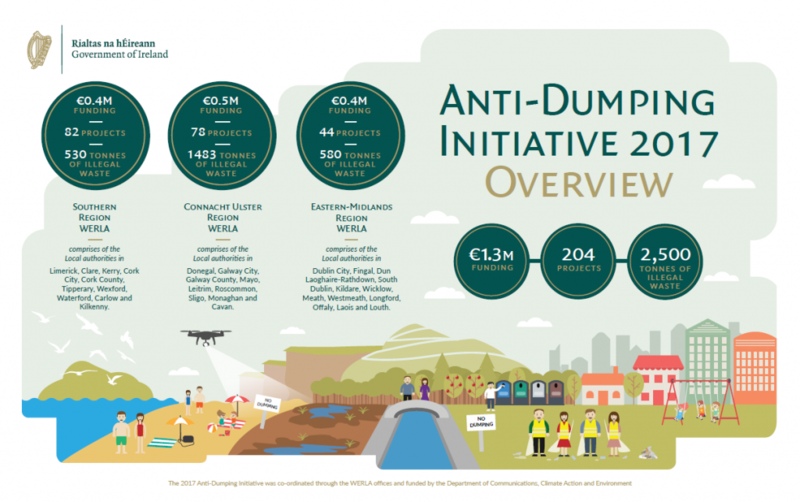 Funding has also been provided under this initiative to support a pilot project undertaken by Sligo County Council aimed at tackling and addressing the source of illegal dumping. The aim of this project is to create and maintain a register of how households are managing their waste based on customer Eircode information provided by waste collectors. It is anticipated that this approach will facilitate the process of trying to deal with illegal dumping, the burning of waste and unauthorised waste management. 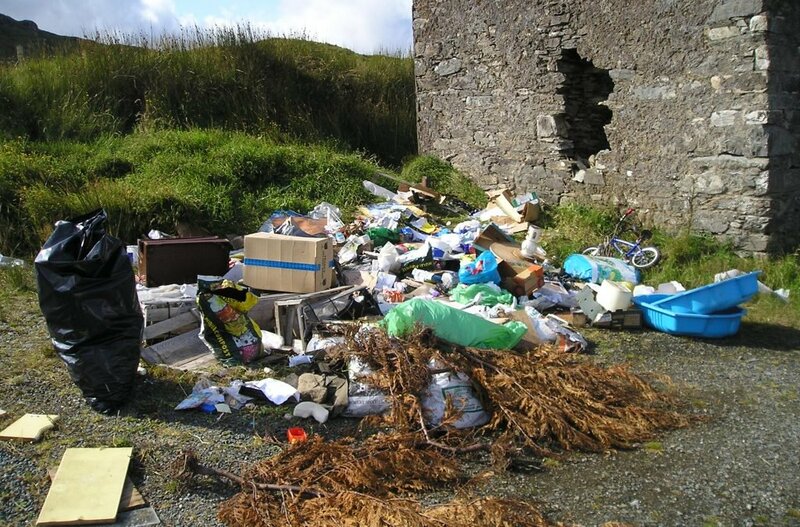 While the creation of such a register is currently only being undertaken by Sligo County Council, it is anticipated that this will form a model of best practice for other Local Authorities to adopt, which in turn will work towards curbing illegal dumping activity nationally. Before postcodes (Eircodes) was launched it was given legal underpinning by the Dáíl in Section 66 of the Postal Services Act 2011 and Communications Regulation (Postal Services) (Amendment) Act, 2015. The Eircode, a geocoordinate and an address or a variation of an address is not personal data. The legislation also allows the matching of an existing address with an Eircode as a legitimate postcode activity. The Waste Management Act also provides for the collection of addresses and postcodes along with other information as provided in Section 34C of the Act. 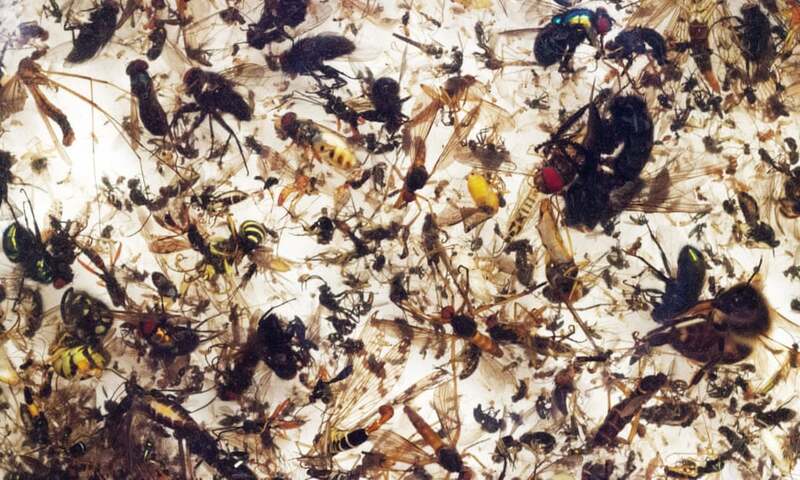 Bye-laws at a local authority level address a range of waste presentation issues. The three Regional Waste Management Plans for period 2015-2021 contain commitments to Review/introduce presentation of waste bye-laws across the region, to maximise the quantity and quality of recyclable waste collected and amend/replace/introduce new bye-laws if appropriate. In addition to tackling illegal dumping, the plans also recognise the need to improve both the capture of recyclate and its quality. Greater capture of recyclate will obviously have a positive impact on reducing the volumes of waste directed to landfill and boost our efforts to meet our EU and regional waste recycling targets (50% recycling rate of household/municipal waste by 2020). It should be noted that certain local authorities have already introduced bye-laws which require householders to sign up to a household waste collection service and that the three Regional Waste Management Planning Offices prepared a template to help standardise bye-laws on the presentation of waste. The 31 Local Authorities, in conjunction with the three Regional Waste Management Offices, are in the process of adopting new Waste Management & Presentation By-Laws with the expectation that all Local Authorities will have adopted such by-laws by end Q1 2019. The bye-laws govern a range of issues, including obliging consumers to participate in an authorised waste collection service (or provide documentary proof on what alternative means they use to dispose of their waste) and encouraging greater segregation of waste to reduce volumes of residual waste collected. In line with the commitments set out in A Resource Opportunity – Waste Management Policy in Ireland, published in 2012, and in the interest of encouraging further waste prevention and greater recycling, flat-rate fees for kerbside household waste collection were phased out over the period autumn 2017 to autumn 2018. The Department of Communications, Climate Action & Environment Department established a Household Waste Collection Price Monitoring Group (PMG) to monitor pricing developments for household waste collection services during the phasing out of flat rate fees. The PMG has met each month to consider pricing data trends since September 2017 and has indicated that, in the vast majority of cases to date, charges have remained stable. The Competition and Consumer Protection Commission (CCPC) report from September, 2018 recommended that existing national waste management policy, as set out in ‘A Resource Opportunity – Waste Management Policy in Ireland’, should be reviewed. This review process has begun and will take account of a number of initiatives, such as the European circular economy waste and plastics legislation frameworks and the reports from the CCPC and the Price Monitoring Group. This process will inform the development of future national waste management policy, including our environmental goals, regulatory and market structures, and policy instruments and tools. information on how to use the food waste recycling bin www.mywaste.ie. 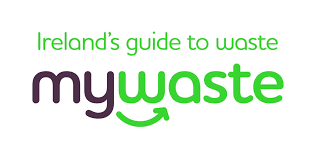 To further assist in the provision of information to the public, the Department, in conjunction with the Regional Waste Management Planning Offices, launched a new website in November 2018, www.mywaste.ie. 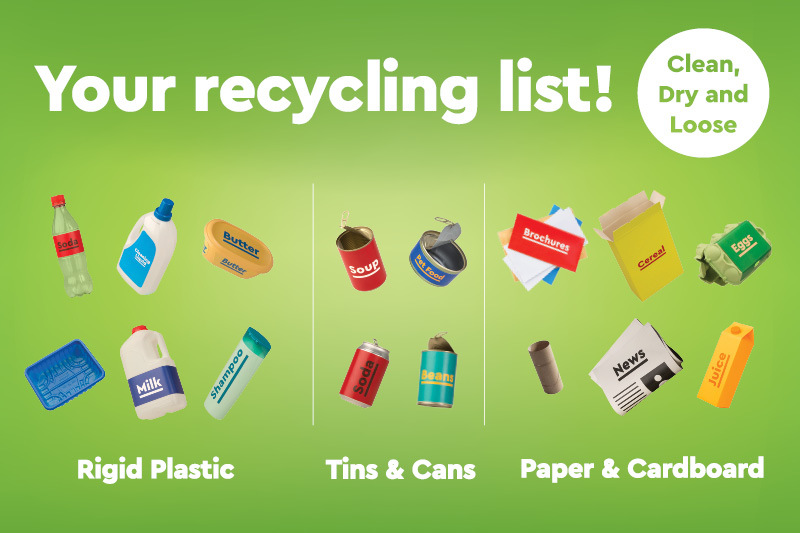 This website has been developed by the Regional Waste Management Offices with support from the Department, to provide consumers with a single information resource on all aspects of domestic waste management in Ireland and in particular it focuses on the provision of advice on managing waste more responsibly and efficiently.